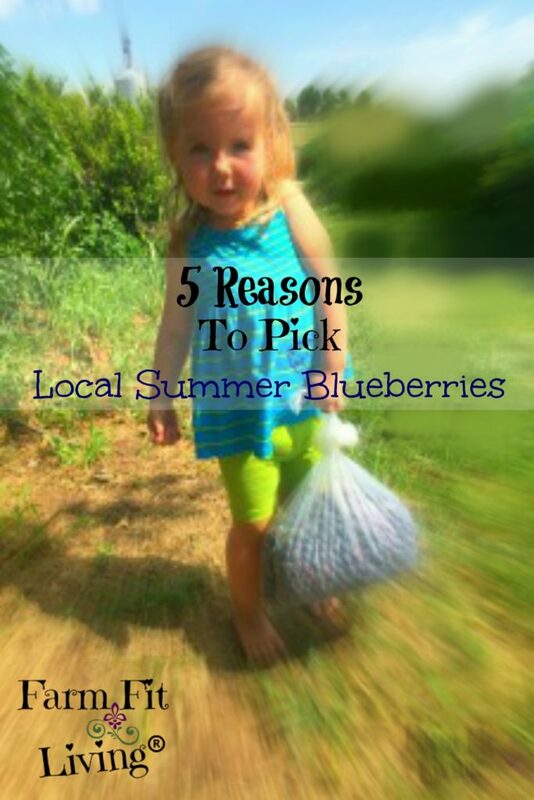 Have you wondered if going to pick local summer blueberries is the right activity for you and your family? Pick local summer blueberries to enjoy fresh or freeze for later use. As the temperatures are just starting to heat up to normal July temperatures, it is finally beginning to feel like summer. I’m talking 100 degrees, baby! I love the summer heat because it brings on delicious blueberries. But, we do not grow our own blueberries. So, we travel elsewhere to pick them and support a local backyard business at the same time! Why We pick local summer blueberries. While we grow many different kinds of produce on our homestead farm, one thing we do not grow is blueberries. We leave that up to our friends at Grimm’s Gardens to take on that task to provide a place to pick local summer blueberries. Grimm’s Garden is located about 40 minutes north of our farmstead near the Kansas/Nebraska line. They have awesome U-Pick blueberry patches many people flock to each summer. 1. They are great at it. Let’s face it. This family business is so good at what they do. There are dedicated workers and volunteers who care about feeding you the best produce they have to offer. If they did not care about their customers, they would not be in this business. Plus, they are willing to put in the time it takes to produce a successful blueberry crop. They’ve worked hard for years to ensure a tasty yield for your tastebuds. Finally, the staff at Grimm’s Gardens are available to answer any questions about the blueberries they spend so much time growing. 2. Blueberries are difficult to grow. Have you ever tried to grow blueberries? I nave not tried and that is mostly because I know it is a lot of work. Blueberries are also very picky about the soil they sit in. Here are some of the stats for growing blueberries you might want to keep in mind. The soil needs to be just right. The pH must be on the acidic side (4.6-5.2). There are ways to lower or raise your pH to get it just right for growing blueberries. To find out the pH, it would be a wise idea to test your soil. Blueberries also appreciate well-drained, well aerated soils. To achieve this, one might decide to grow blueberries in a raised bed or a mound to allow for proper drainage. Blueberries love to eat in the form of fertilizer, however, they are picky about what sort of fertilizer they like. They are also picky about the timing of the fertilizer, which is three times a year in the spring. Along with eating and drinking right, blueberries like to have their bottoms covered with a mulch, their limbs pruned back, and a bird netting over them to protect the berries from a bird attack. All of these tasks together allows for many hours of labor when growing blueberries. I enjoy leaving these tasks up to the local U-Pick blueberry orchard I am proud to support. This is the main reason why I pick local summer blueberries. 3. Support another local business. These days, it’s ALL about shopping and eating local. Supporting a U-Pick patch or orchard is just another way you can shop local. It’s sort of non-traditional, but orchards and greenhouses are businesses, too. 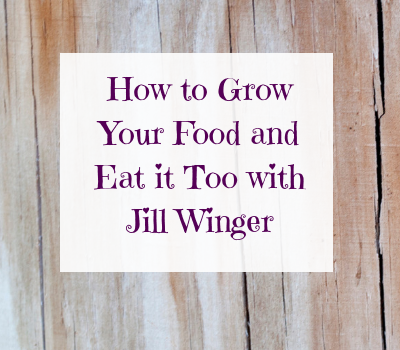 Why not reap the benefits of fresh, juicy produce while supporting your neighboring business every step of the way? You may be wondering how to connect to a U-Pick patch or orchard. Usually, they are community supporters, so they would be listed in the local business directory. Or, you can find their web site, which is where they post their hours of operation. Another way you can connect with them is through social media. Facebook, Twitter or Instagram may be the place you find out when their hours are, when the fruit is ready or where they will be selling direct to the consumer via a Farmer’s Market. 4. Blueberries are delicious and nutritious. Mylee eats way too many blueberries and I approve. The sweetest form of antioxidants all rolled into one little bite sized berry, blueberries are loaded with good stuff. Plus, they are low in calories. Only one cup of blueberries contain 83 calories. Why wouldn’t you want to keep these babies on hand in your fridge or freezer all year long? 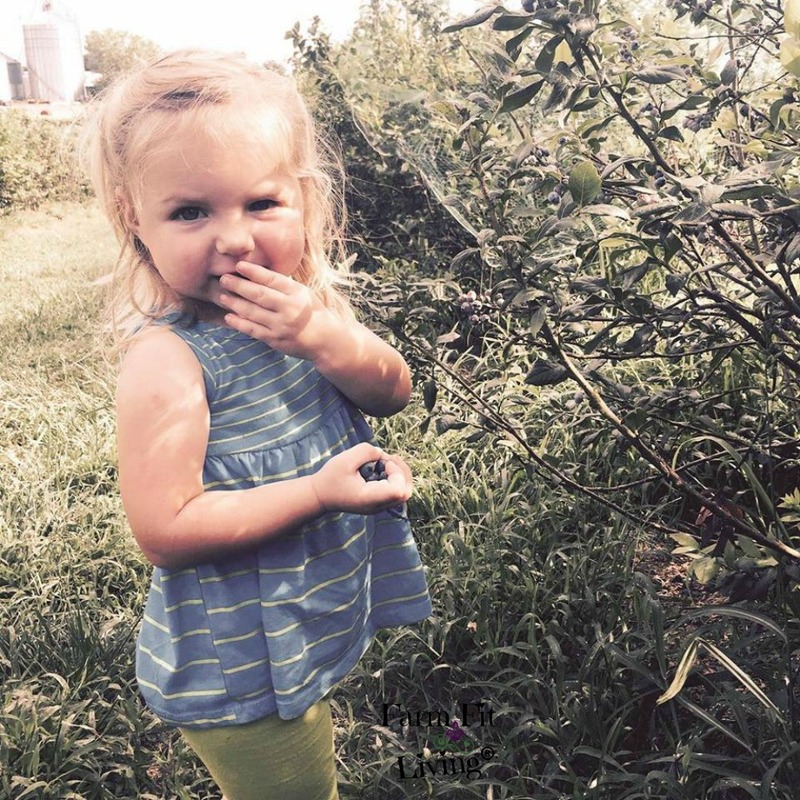 I look forward to the blueberries ripening each July and Mylee absolutely loves to eat yummy blueberries. When we arrived at the gardens to pick, she wasn’t sure what to choose. So far this summer, she has only been eating the blueberries from the grocery store. So, I had to teach her a thing or two about what to look for in a good blueberry. A) Green, Orange, and light blue blueberries are NOT ripe. Look for full, dark blueberries. Check the variety, though, because there may be some that offer light colored blueberries. B) The main sign I look for in a ripe blueberry is one that will basically fall off the stem to the touch. All you should have to do is tap the berry and it will disconnect from the stem and fall to the ground. That means, it is ready to leave it’s stem. The two of us picked over 5 pounds of blueberries! I feel so blessed to have this amazing U-Pick berry patch near by for us to pick local summer blueberries. So stress-free and enjoyable. I love having this time to enjoy nature, fresh berries and my little girl’s chattering company. The most beautiful, delicious, and nutritious blueberries are grown by local garden centers and orchards, who are practicing what they know and what they love. So, take the time to support a local U-Pick berry business in your area. Now, go pick local summer blueberries and enjoy some freshness from the country! Love this post! I look forward to blueberry picking season (as well as apple picking, strawberry picking, and pumpkin picking!) all year long. It’s so refreshing to know WHERE your food is actually coming FROM. Absolutely, Rach! I also enjoy supporting the business as well.